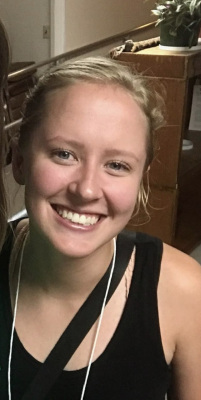 As many of you know, our former youth director, Darby Teander, felt the call of God to spend a year in the mission field serving as a Young Adult Volunteer through the Presbyterian Church (USA.) She is serving in Denver, Colorado and lives with other volunteers in an intentionally simple Christian community. (You may remember we can send her cards but no care packages.) A few of the elders and I felt that Darby's recent update, and appeal for additional financial support, was something we needed to share with the congregation. If you feel led to contribute to Darby and her fellow Christian disciples, you may make a check out to Rumple with Darby YAV in the memo line. You can also give directly online through the PCUSA and Darby also has a link to it on her blog which she mentions below. I'm just about halfway through with my year of service. That is hard to believe. I hope you've been following along on my blog. If you need a little catching up, here's the 411! I am working at an Early Head Start center in Denver Colorado. It's an early childhood education program for low-income and homeless families. I work with infants and toddlers up to 3 years old, and I love it. Just today, when I walked in, one of my little toddler friends ran to me saying "I lub you I lub you I lub you!!". Another one of my friends always says "wait dabby! I wan hug you! I wih miss you!" when I am going home. One of my favorite memories so far was helping an infant every day with her physical therapy, and then seeing her first steps back in October. I live with 3 other girls, but that's about to change. One is leaving the program and moves out in less than two weeks. We are both shaken that she's leaving and adjusting to the change in our community. We would all appreciate your prayers during the time of major transition for us. Although it has "only" been 6 months, it feels more like a small lifetime, and my little community has grown very strong and close. We eat dinner together 4 times a week, pray most mornings at 6:30 am sharp, and covenant together in other ways as well. We are learning how best to love one another. I was lucky to quickly find a church here that I adore. It is very small (30 member) PCUSA congregation that is close enough to my house that I ride my bike every week. Now that I don't teach Sunday school, I get to sing in the choir-- It's only 5 people but it's fun. I have several mentors in my church here, including one that I consider my surrogate "mom" while I'm away :). For thanksgiving, we weren't allowed to travel home yet, so we hosted a meal at our house and invited coworkers and church members who also didn't have family in for the holidays. In addition to your prayers, I am still in need of your financial gifts. You helped me to surpass my individual fundraising goal before I left and that meant the world to me! And now my community has to double that funding together. Our program is hurting financially right now and we may be forced out of our house soon due to not being able to afford rent. My program relies on financial gifts to pick up the slack and keep the program sustainable for future volunteers. Your contributions just may allow us to stay put, next to the neighbors we have come to know and love. If you are able, please visit my blog and see the "support" page. Anything helps, and your prayers mean more than you know. It's hard to put into words how much I've grown and changed in these past 6 months. This year has already been very formative to my spiritual life. I owe many thanks to you all, my home congregation, for shepherding me the past few years and supporting me prayerfully and financially on this journey. I miss you all very much and look forward to seeing you again this fall. I would love to hear from you via snail mail; my address is 1330 Wolff Street Denver, CO 80204! Let us join together in praying for Darby and her community. Rumple will continue to be blessed by all she is learning as she returns and shares with us this summer.